I'm just gonna go ahead and brag a little. I'm just gonna go ahead and sit and cry for a little. They are growing up so fast. When I got out the BUMBO. 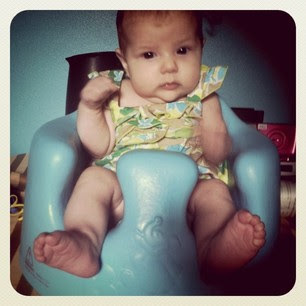 My little Livia is sitting UP IN THE BUMBO. Her head is not so wobbly anymore. tears down my cheeks right now. These truly are the greatest days of my life. I don't want to miss a DAY. Tristan loves Livia so much. just like my big brother. Aw, those are the sweetest pictures! Yep, they grow up wwwwaaaayyyy too fast. 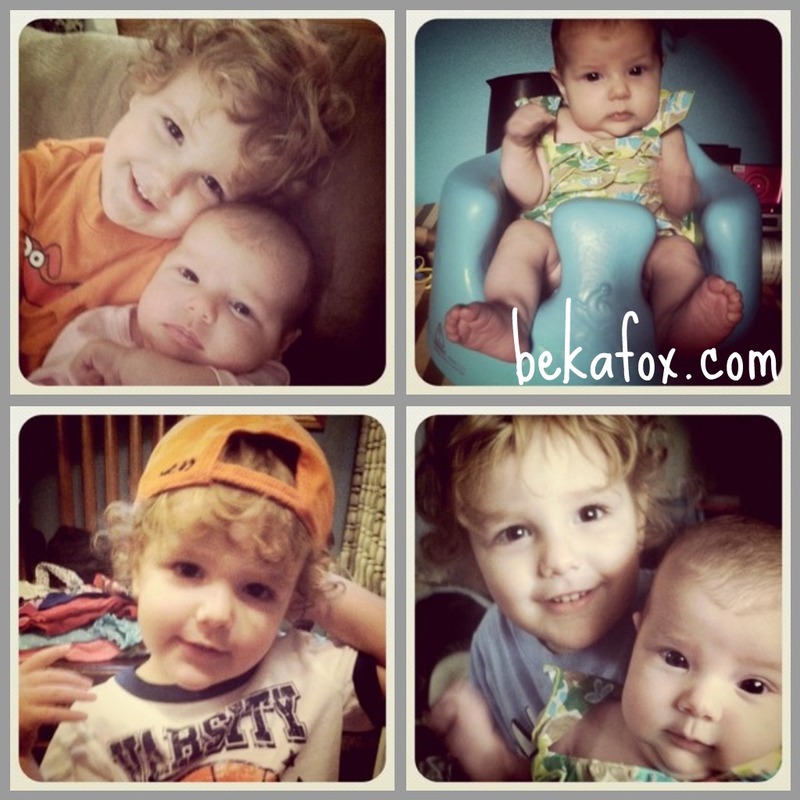 My youngest is now 1 1/2 *tears* Your kiddos are darling! YOU CAN BRAG ON THEM ALL YOU WANT!! I Brag on them and they arnt even mine!! :) I LOVE THEM! and you!